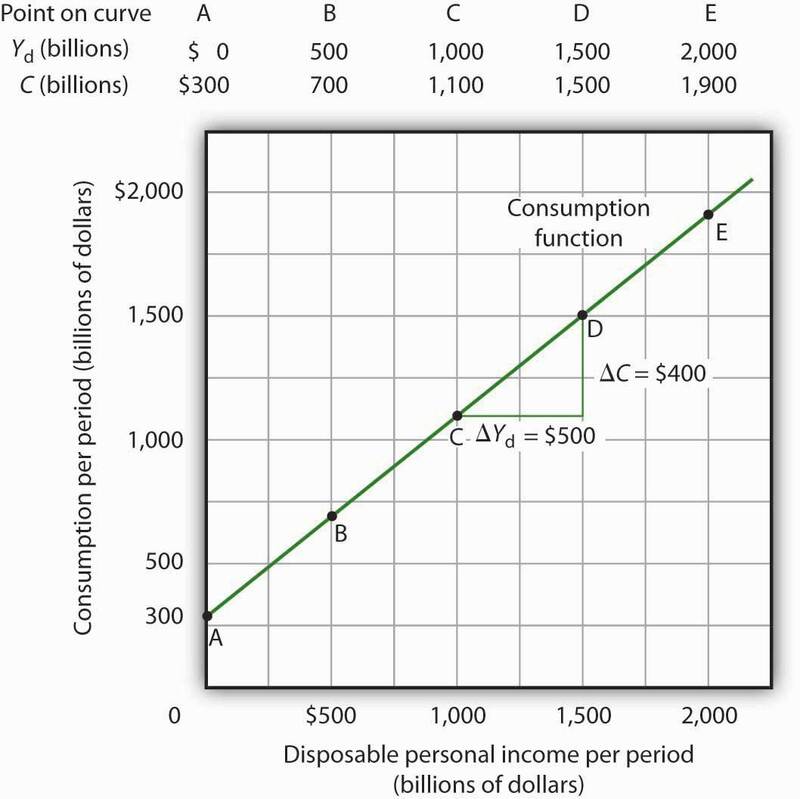 This is “Determining the Level of Consumption”, section 13.1 from the book Macroeconomics Principles (v. 1.1). For details on it (including licensing), click here. 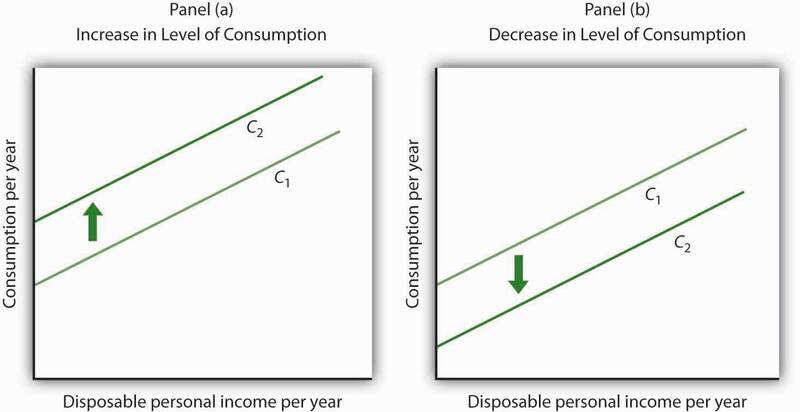 Real values of disposable personal income and consumption per year from 1960 through 2010 are plotted in Figure 13.1 "The Relationship Between Consumption and Disposable Personal Income, 1960–2010". 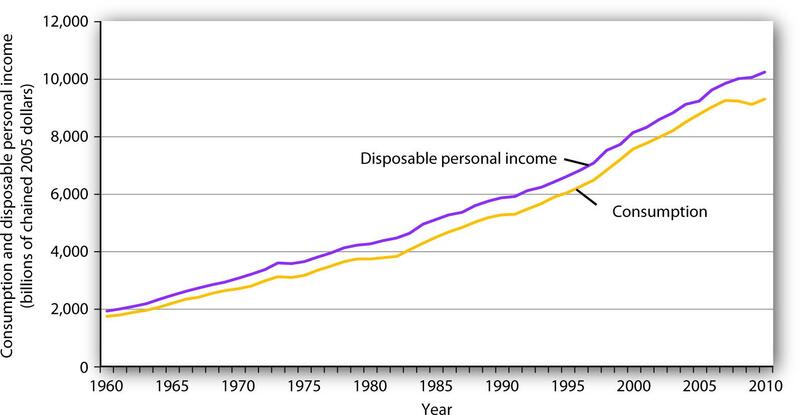 The data suggest that consumption generally changes in the same direction as does disposable personal income. Source: U. S. Department of Commerce, Bureau of Economic Analysis, NIPA Tables 1.16 and 2.1 (November 23, 2010 revision; Data are through 3rd quarter 2010). Many of the tax cuts passed during the administration of President George W. Bush are set to expire in 2010. 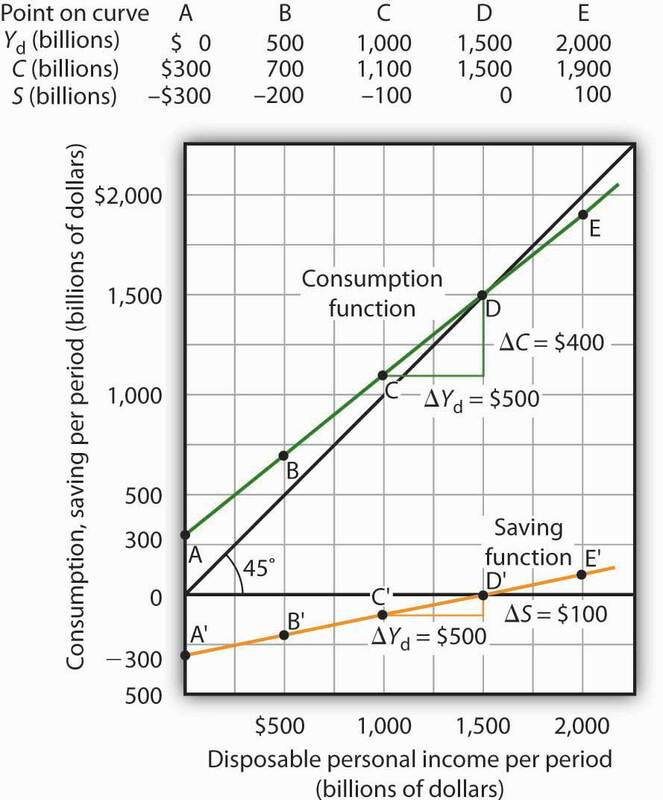 The proposal to make these tax cuts permanent is aimed toward having a stronger impact on consumption, since tax cuts regarded as permanent have larger effects than do changes regarded as temporary.